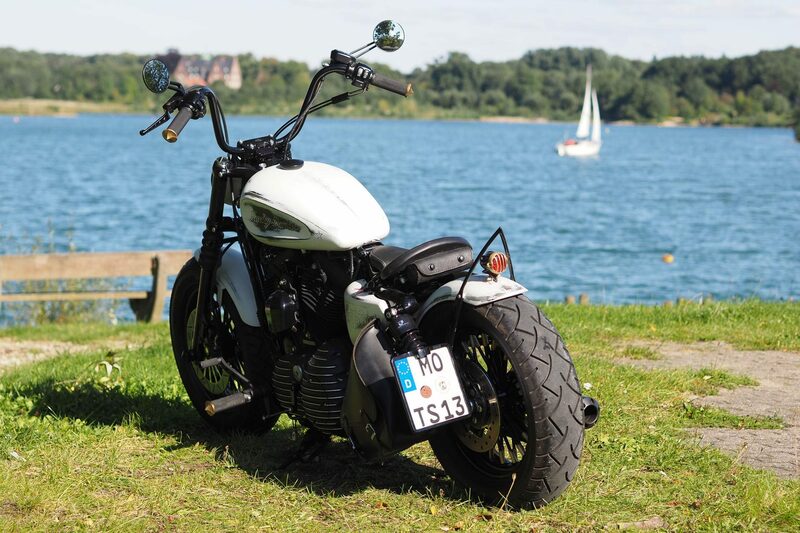 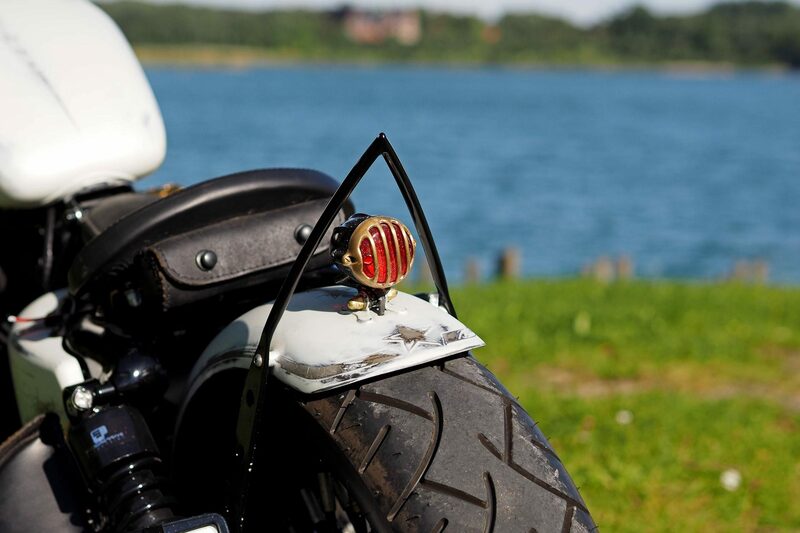 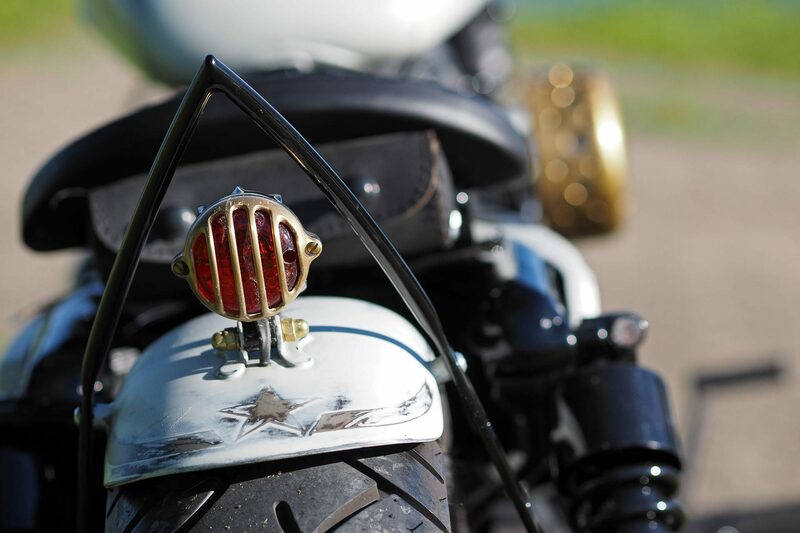 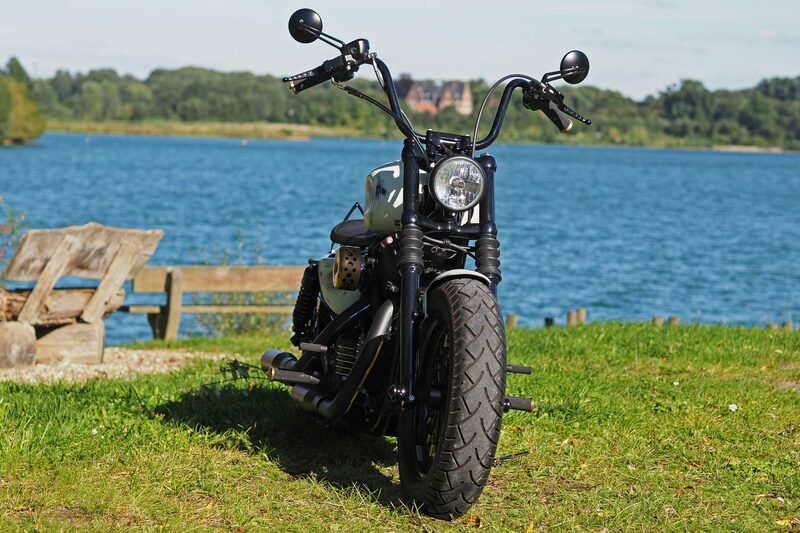 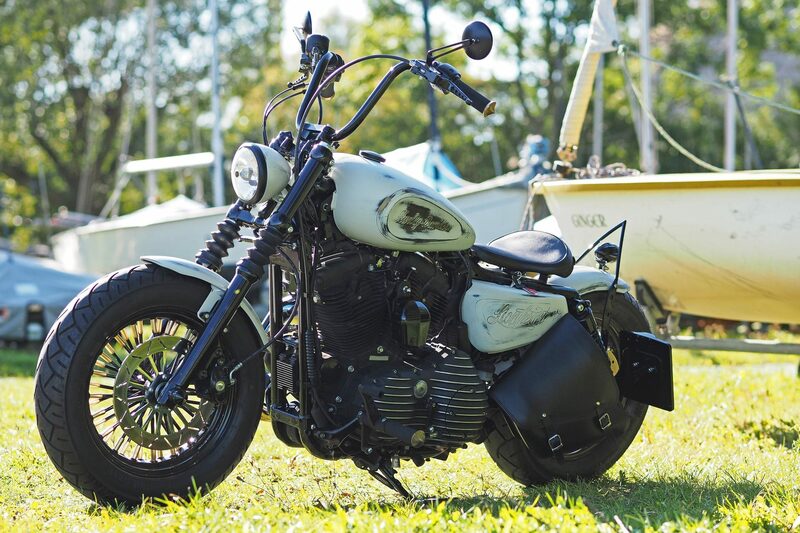 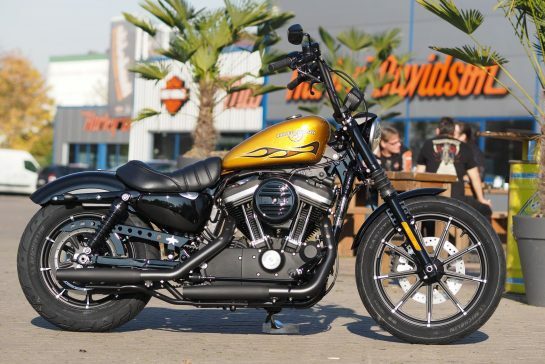 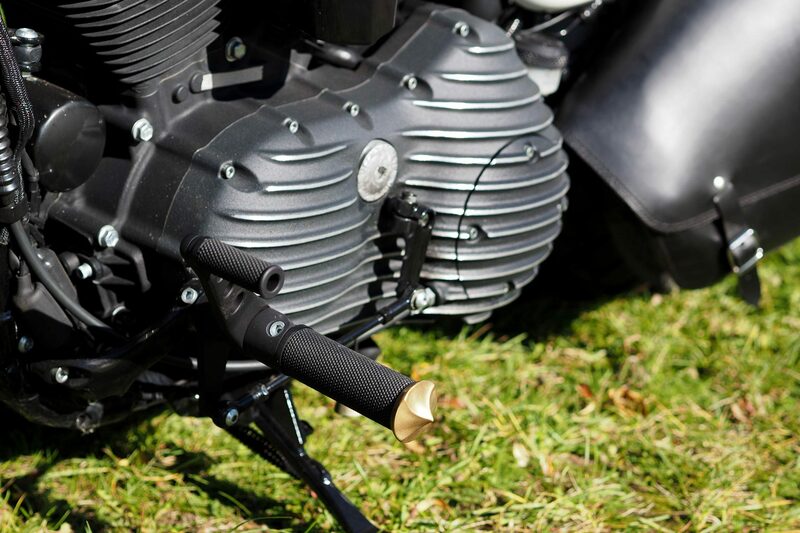 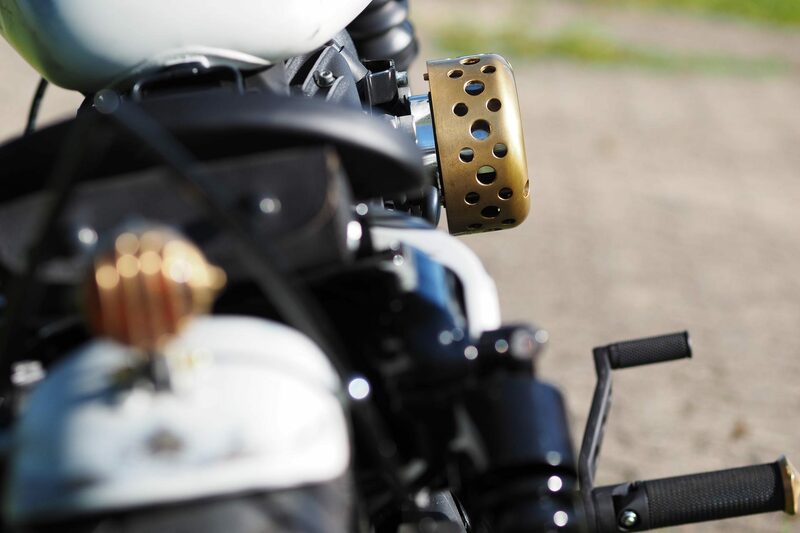 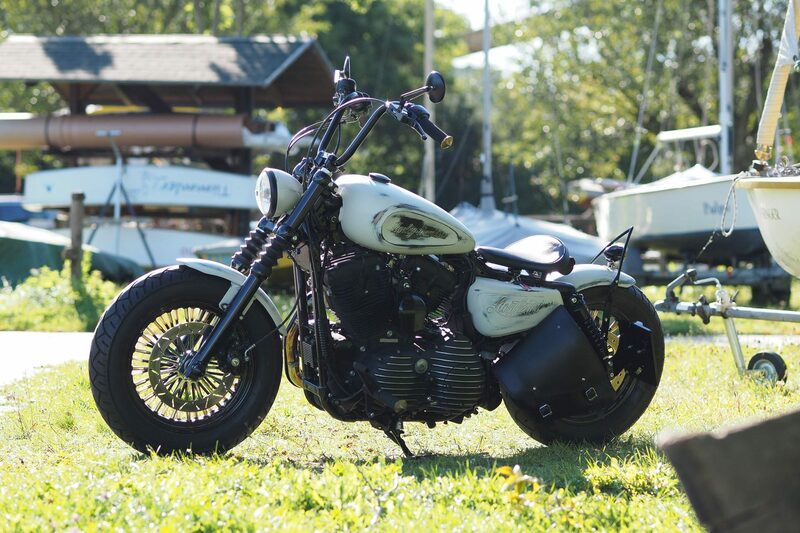 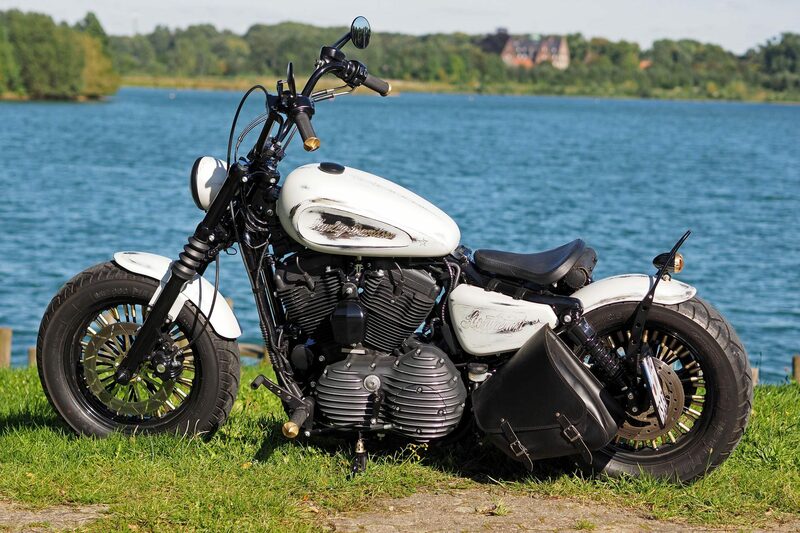 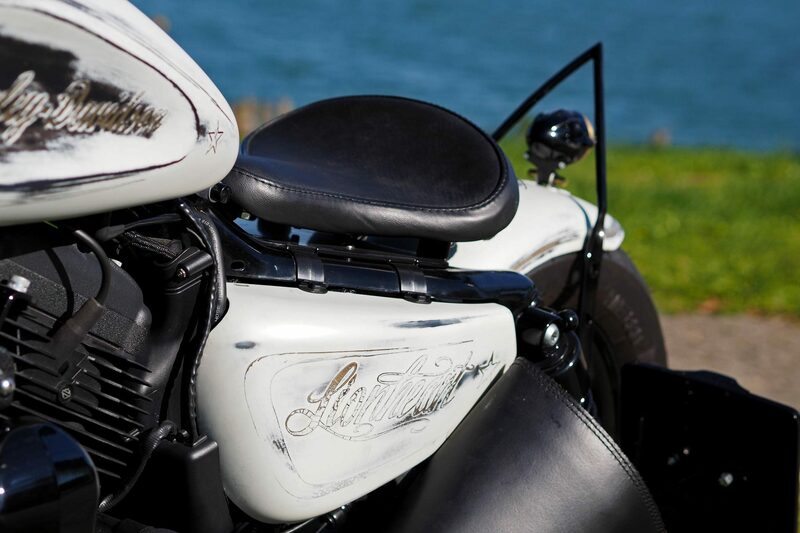 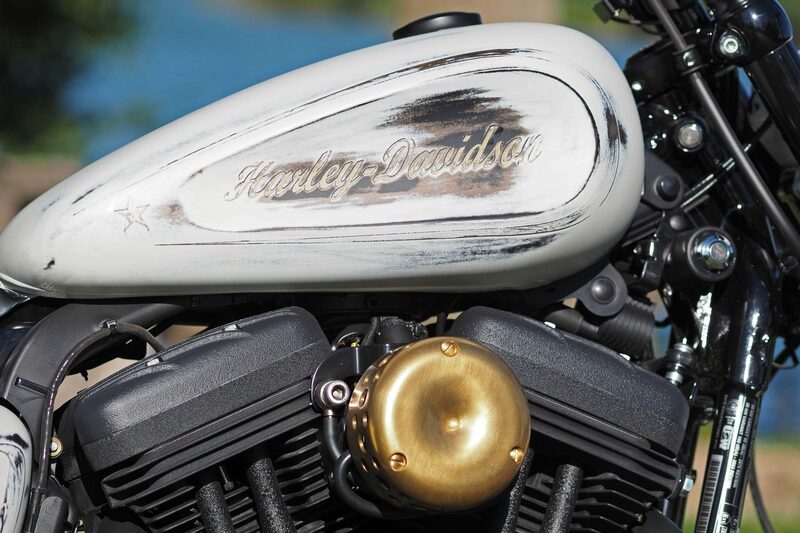 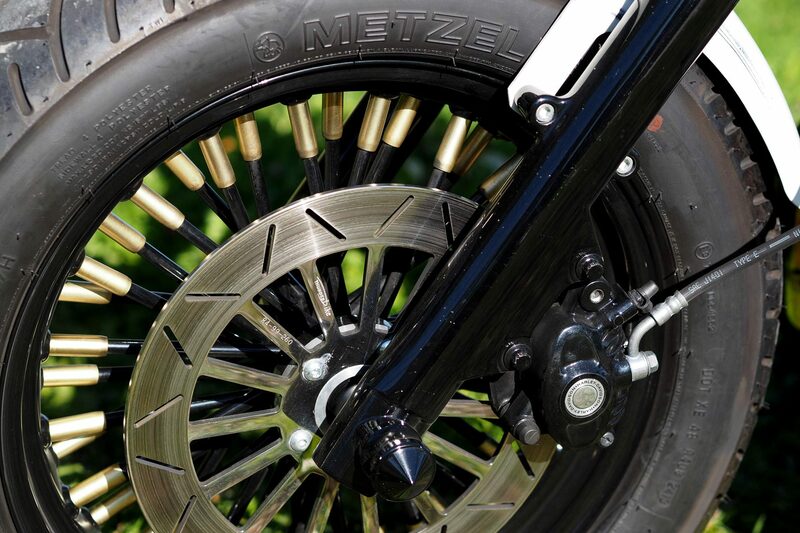 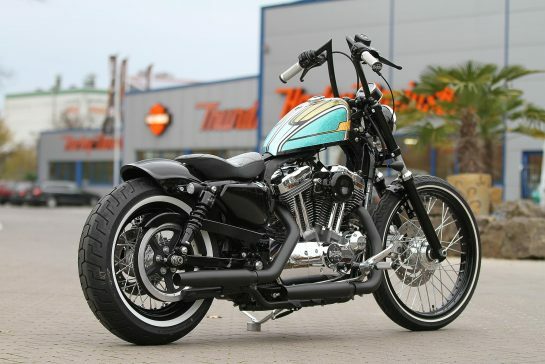 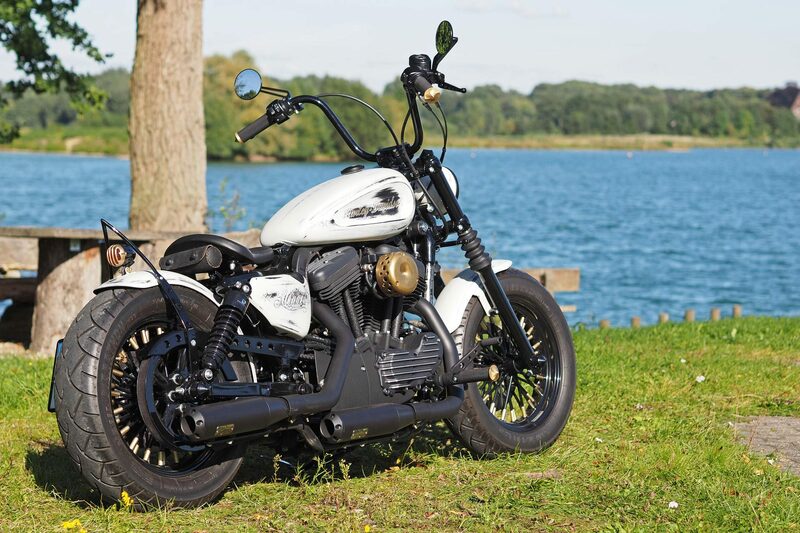 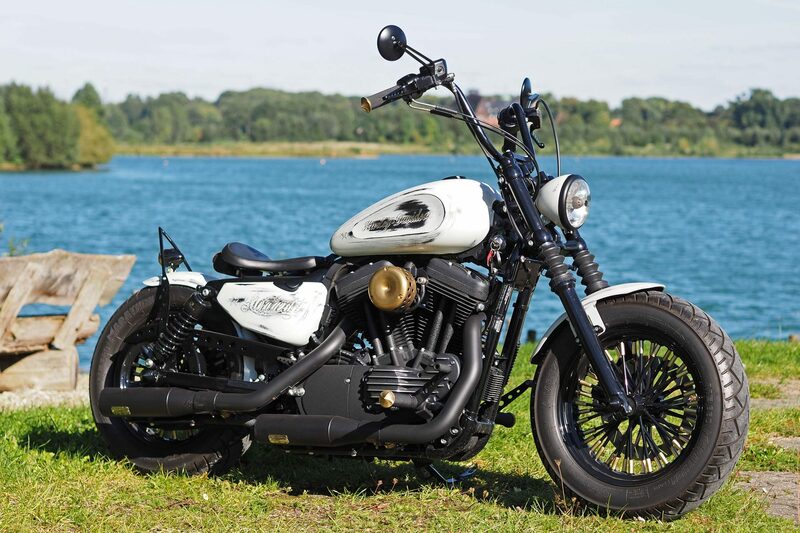 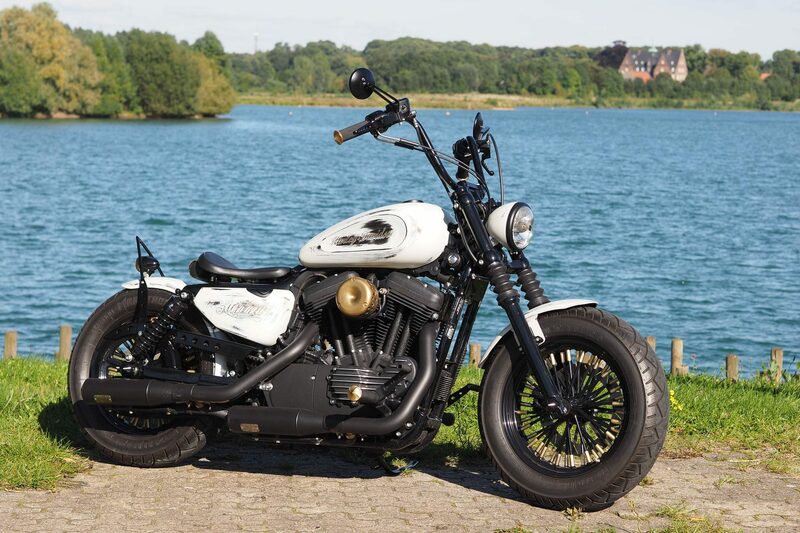 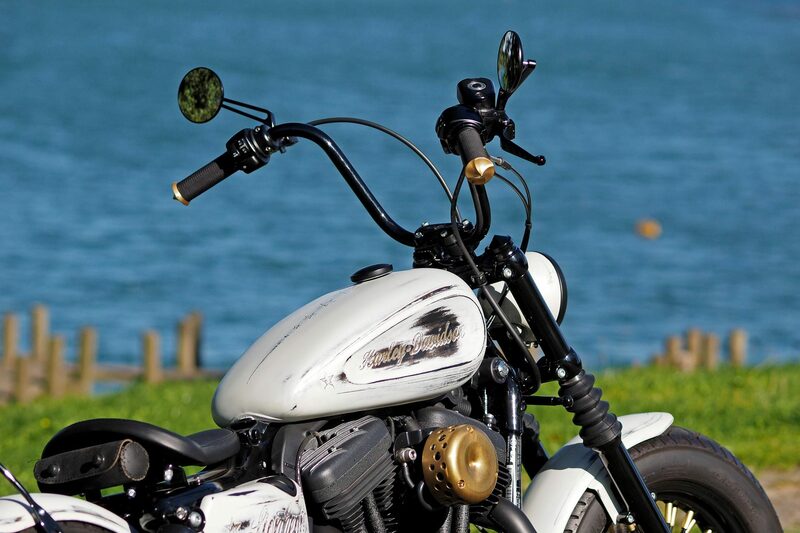 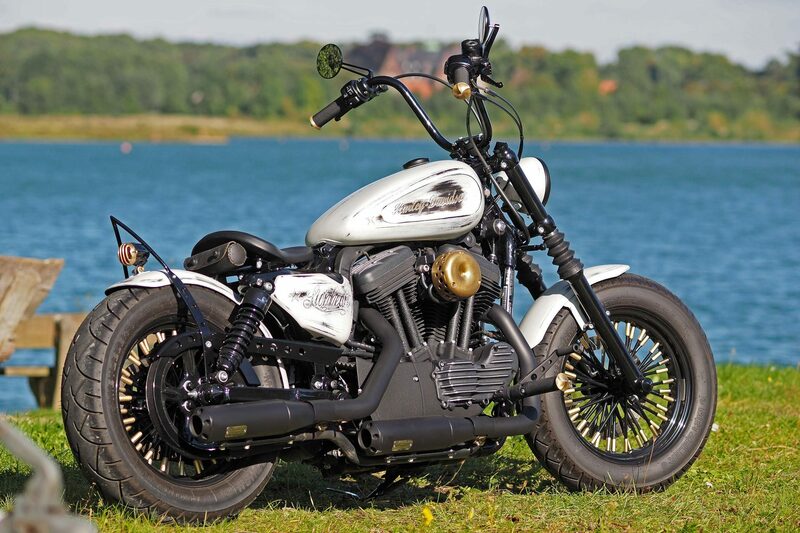 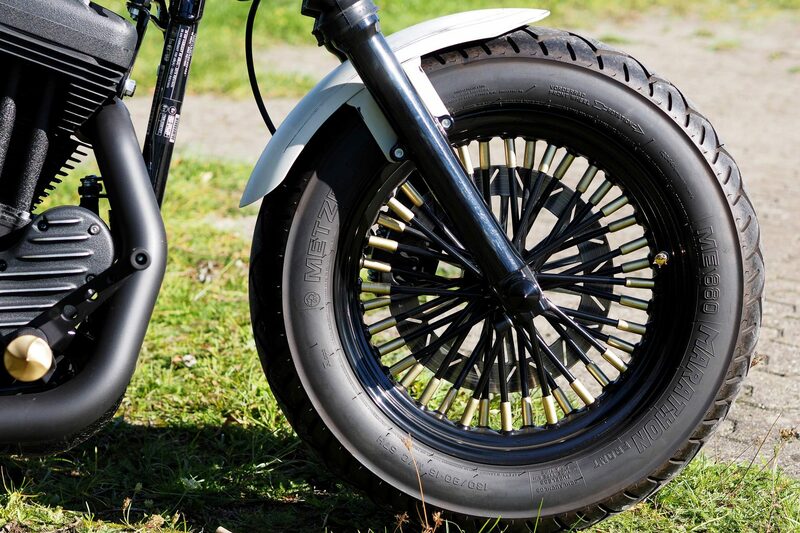 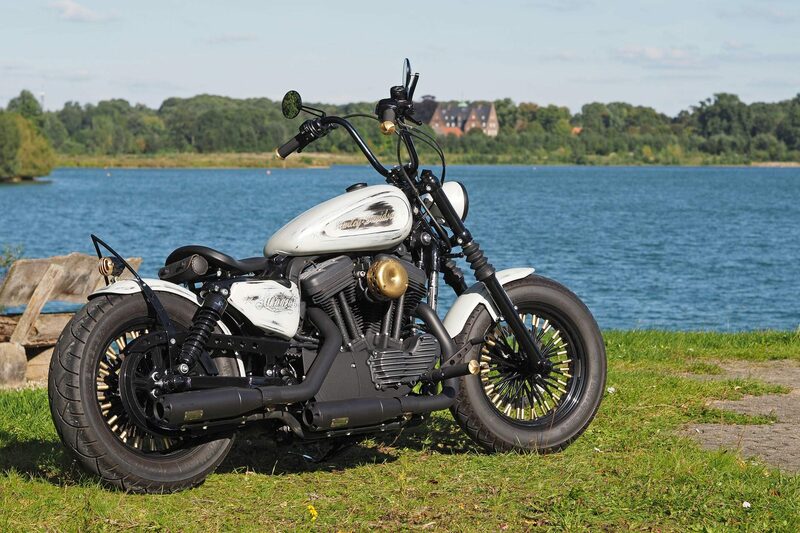 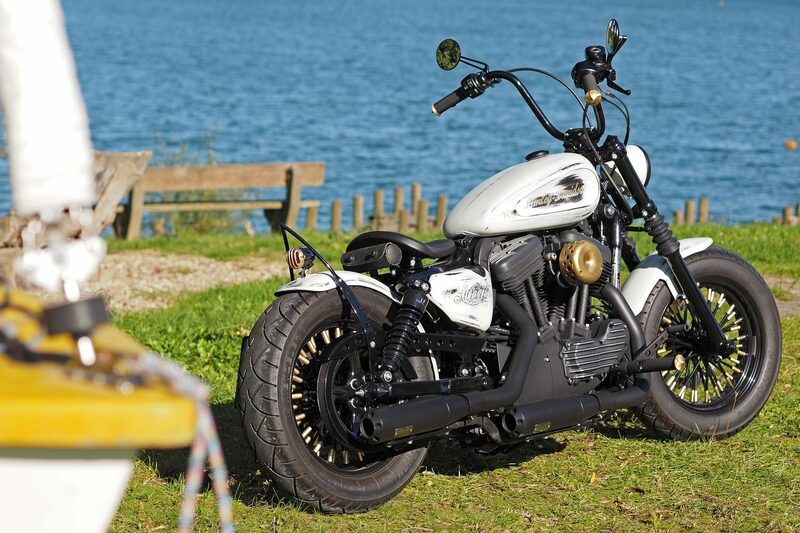 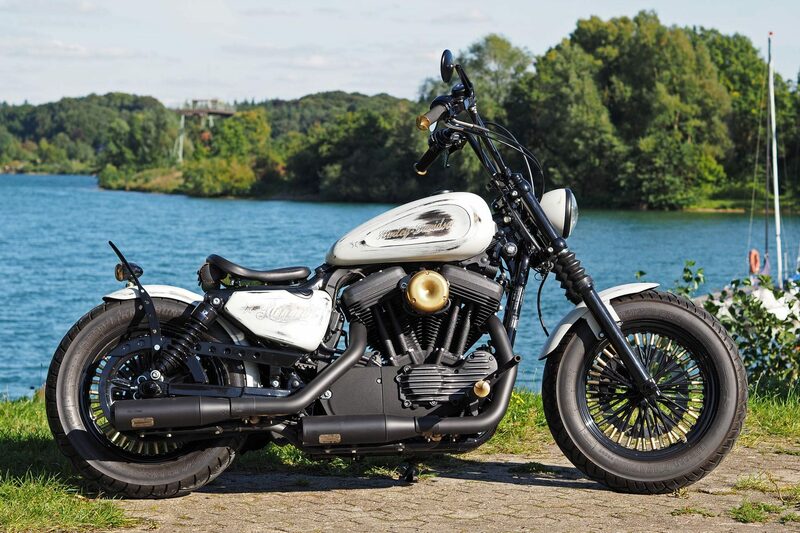 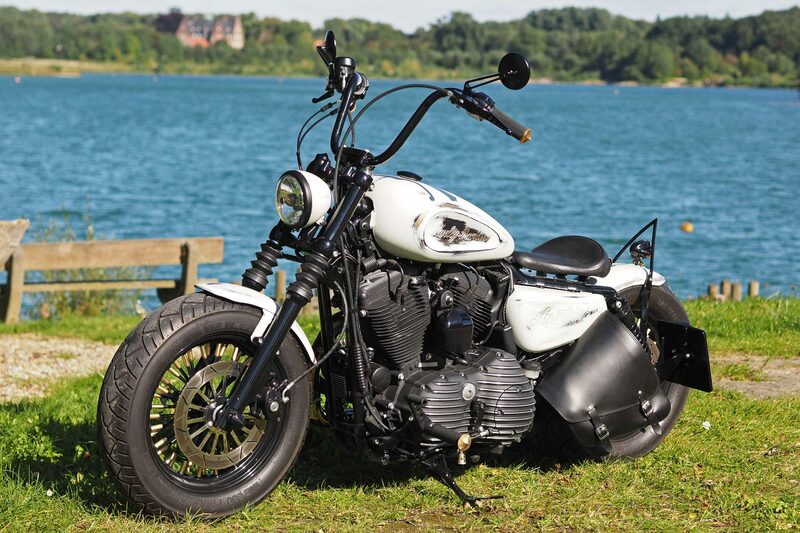 The Forty-Eight, often taken as a cutom base, rolls on Big Spoke weels and is kept on track with a Thunderbike apehanger. 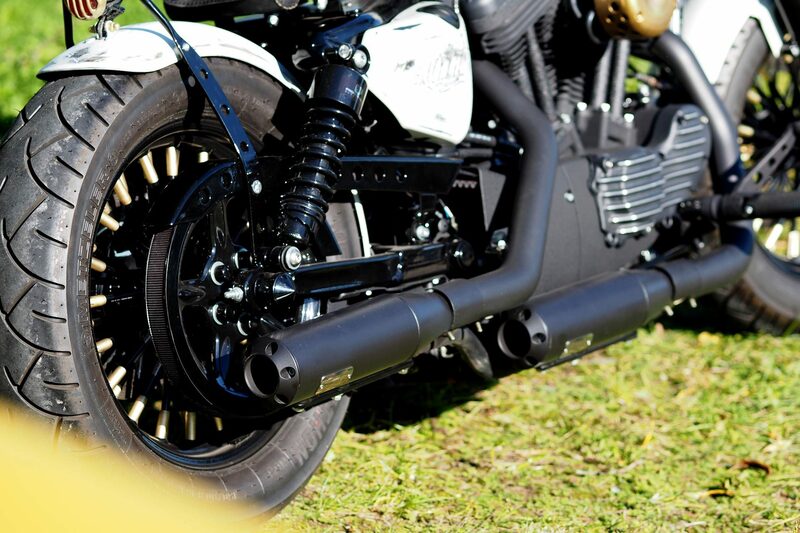 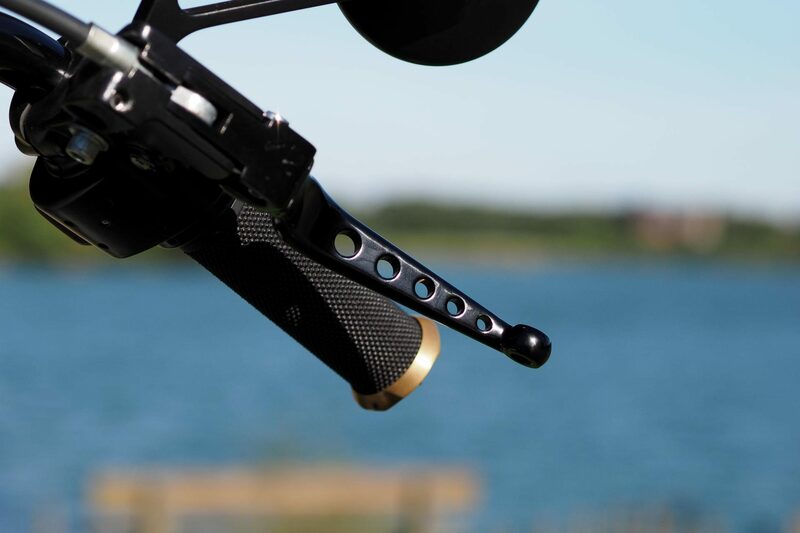 The right sound is provided by a Jekill & Hyde exhaust system. 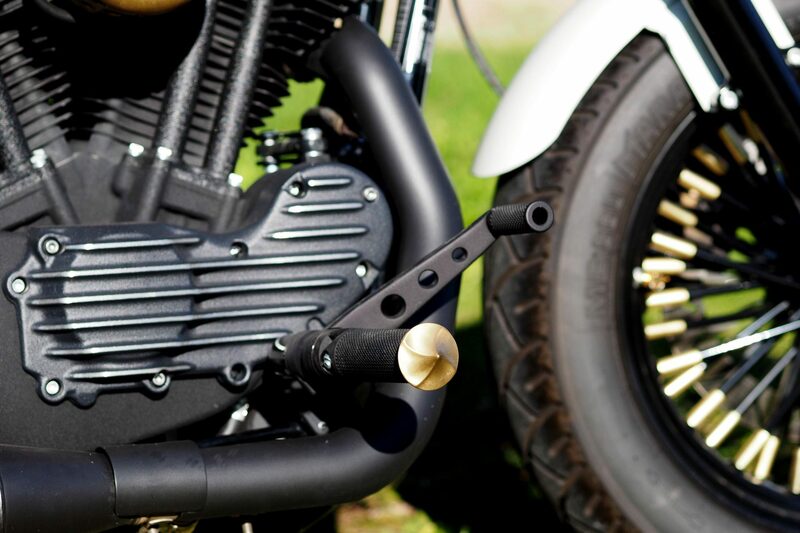 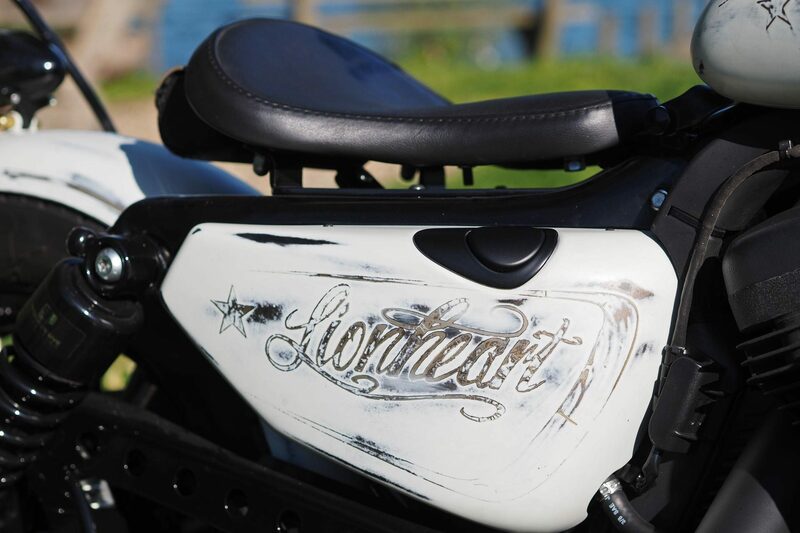 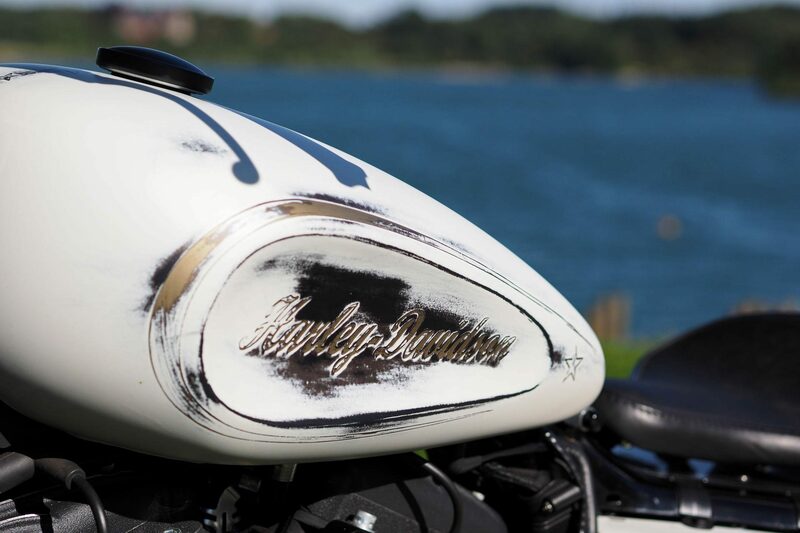 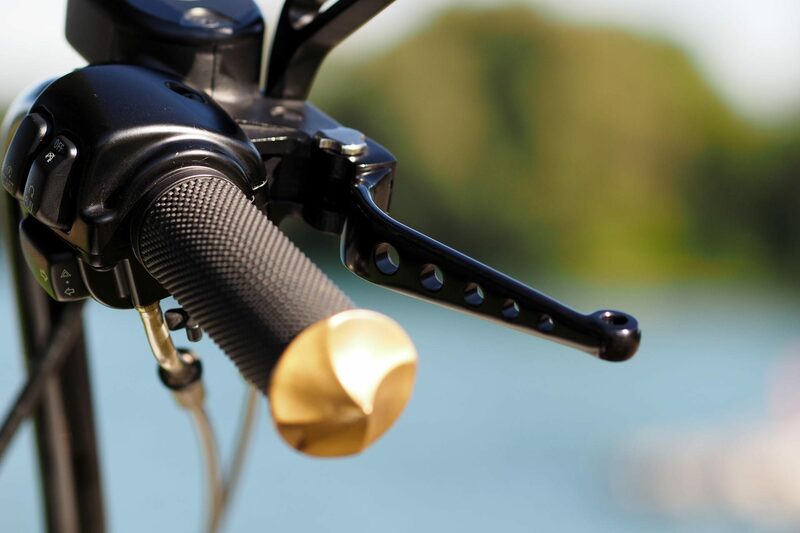 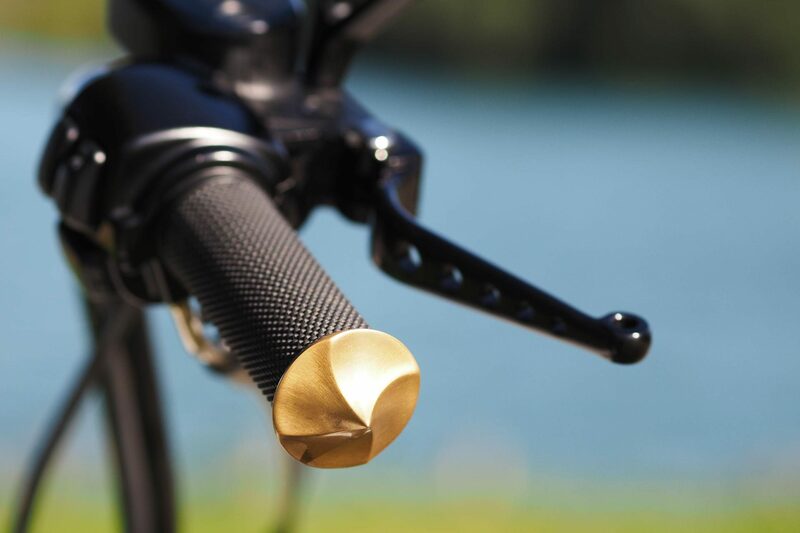 In addition to the Thunderbike Classic air filter, swinging saddle and Alcatraz taillight, numerous other parts from our current Thunderbike Custombook have been installed, such as the Base Rubber footpegs and matching grips. 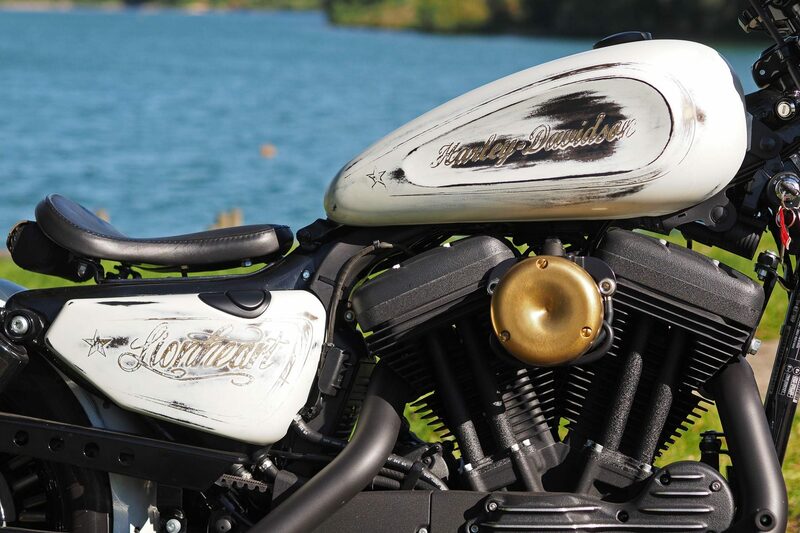 For the vintage white look master painter Ingo Kruse provided an elaborate paint dress.